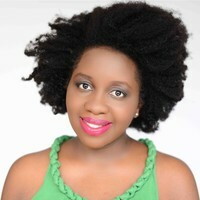 Following 7 years in investment banking, first at Goldman Sachs and then at HSBC, Heather started the curly hair blog, NenoNatural, in late 2012. Neno being the tiny village in Malawi (Africa) where her dad was born. In under 2 years the site grew to a Facebook following of 400,000 fans, an email list of 40,000 subscribers and Amazon revenues of $100k a year. She’s also grown a property portfolio worth £2m ($3m) since she started just under 10 years ago. Heather graduated with First Class Honours in Economics from the University of Cambridge. In the past she has written columns for both Malawi News (on Personal Finance) and the Daily Graphic in Ghana (on Hair). She is the author of several books on banking, personal finance, business and hair. She lives in London with her Husband, Harry and their son Chester also known as #LittleZeusy on social media.